Have you heard of Reverse Graffiti? Do you know what it is and how you can include it in your marketing mix? Our guide to Reverse Graffiti tells you everything you need to know. How much does a reverse graffiti campaign cost? 1. What is Reverse Graffiti? Reverse Graffiti is the process of cleaning specific areas of dirty pavements or walls which creates art or advertising through the contrast of clean and dirty sections. A simple example of Reverse Graffiti is using a wet finger to write “Clean Me” on the back of a dirty van. For repeatable and commercial reverse graffiti, typically, a stencil is produced in metal or plastic to create the design. The stencil is then placed on to the dirty surface and then either a power washer or clean cloth is then used to clean through the cut out areas of the stencil. When the stencil is lifted the stencil design is replicated on the dirty pavement or wall with clean areas. Reverse graffiti is also known by other names such as: Clean Advertising, Street Advertising, Dirty Street Advertising, Clean Graffiti, Clean Tagging. Although the origin of Reverse Graffiti is not known, The first recorded large scale reverse graffiti art piece was made by Alexandre Orion in 2006. The intervention was called Ossario (ossuary) and was over 1000 feet long. The municipality of São Paulo washed it away shorty after. English Reverse Graffiti Artist Moose was one of the first artists to use the technique in the UK and Street Advertising Services was the first company offering commercial Reverse Graffiti for branding and advertising with a nationwide campaign for Gumtree Classified Ads in November of 2006. 4. Which brands have worked with Reverse Graffiti? Nike, Puma, JD Sports, Saffron Building Society, ING Bank, Barclays, The Oracle Shopping Mall, British Gas, Carphone Warehouse, Sports Park Norwich, Budweiser, CragRats, Jim Beam, Bolton shopping Mall, Pow Wow, Yahoo, Kia Cars, The Times, Miroma, Team 24 Recruitment, Pod Food, Zavvi, Birmingham Rep Theatre, Wired Magazine, 20th Century Fox, Jobserve, Make your Mark, Kinnarps, Nicorette, Penguin Publishing, Absolut Vodka, Puma, Northumberland Police, Tax Payers Alliance, SSP, Regent Theatre Stoke, Etnies, The Sun Newspaper, Leeds City College, Kathmandu, STA Travel, Opal Telecom, St Davids Mall Cardiff, Brunswick Mall, Kanaloa, Tower Hamlets Council, Jorvik Viking Centre, Sol Beer, Cheshire Police, Kent Highway Authority, Village hotels, .eu, Dominos Pizza, Gieves and Hawkes, Promeathan, Randstad Recruitment, BMW, Unilever, BIBA, Future Lawyers, Virgin Media, Crucible Theatre Sheffield, Mossbros, NHS, Neath College, Meadway, Mall, Specsavers, Spar, Mint Hotels, Bongo, Smoke Free Northwest, Wolverhampton council, Royal Opera House, Sony, Wolverhampton University, Altrincham Council, Centrl Beds College, Springerlink, Salford Health, Pizza Hut, New Era, Sky, Cheap Monday, Be Sure, leave.eu, Barefoot Wines, Strongroom FM, Betfair, Ladbrokes, Paddy Power, First Utility, Salford Business School, Bounce, Muslim Aid, Unite Student Accom, The Hard Rock Cafe, College of North West London, Ann Summers, Shake Shack, Samsung, Dubai London Chip Shop, DogBuddy, Chicken Shop, The Stroke Association and Reebok and the list goes on and on! 5. Is Reverse Graffiti Legal? Reverse Graffiti is a guerrilla marketing service carried out without advanced permission from local authorities. Thousands of adverts have been placed across the UK since 2006 for brands, complaints have been very few. If a complaint were to be made then the offending advert will be requested to be removed and this service can be carried out for a fee. Even though Reverse Graffiti campaigns have been carried out for the Highway Authority, for Councils and Police Forces, if you are in doubt it’s advisable to speak with your local authority to see if they would give you permission to carry out the campaign. As with all advertising campaigns, you will need to know who your target audience is and where they hang out. Are you a University or College looking to recruit local students? An obvious location would be Secondary Schools. Retail Store? Other retailers would be the target. Drinks Brand? Bars and Restaurants. Once you have established likely dwell locations for your audience you then need to decide which cities in the U.K you want to place adverts in. There are a number of restrictions to be aware of when placing Reverse Graffiti Ads: Surface suitability ( It must be a dirty, paved area. Block paving or tarmac doesn’t work well. But consider mixing Reverse Graffiti Ads with Rain Ads for maximum coverage), Vehicle Access is the other consideration, Private Property (Ads can only be placed on public property). Having created a list of cities, its a good idea to speak to your supplier to confirm costs and total budget required. Once you then decide to proceed, you will typically be required to pay a deposit of 50% and then supply artwork. Once the supplier has received the artwork, they will then convert the art into a stencil format and be ready to proceed. The locations for placement are either listed by yourself or suggested by the supplier as good high footfall choices. 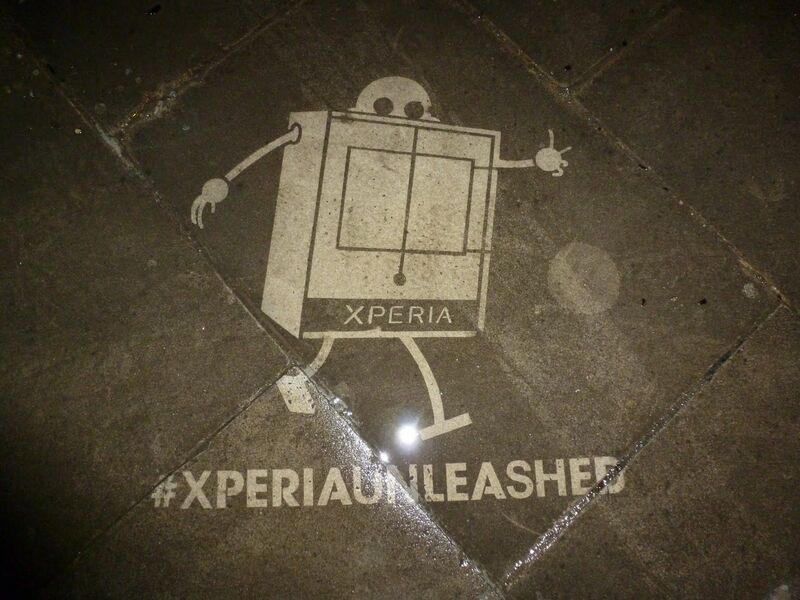 Once the adverts are cleaned onto the pavements you will then be emailed a list of locations and a photo of each advert placed to conclude the campaign. As with all marketing campaigns, the effectiveness of your ads depends on multiple factors and Clean Advertising is no different to traditional advertising when it comes to ensuring maximum return through the application of several considerations. Targeted Audience- The more you know about your customer the more effective your campaign will be. In this case, think hard about where your prospect customer will dwell. Clean Ads work best in dwell locations so think, bus stops, train stations, fast food outlets, retail stores, leisure venues etc. Right Message- Your message needs to be clear and concise with a strong call to action- Yes it would be nice to have a pretty design with complex, eye catching artwork but strong, bold text with a simple design and request for positive action is far more effective. 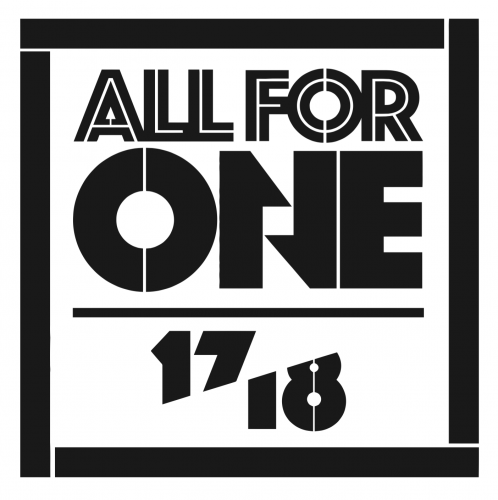 The Rule of Seven- Remember the old marketing adage of rule of 7? It says that a prospect needs to see your message seven times before they will buy from you. In this scenario, if a prospect sees your Clean Adverts in seven different locations they will likely take action. 25 ads per city is the minimum recommended number but if its a big city or your ads are spread far apart then consider placing as many as your budget will allow for. To measure the effectiveness of an ad campaign requires a tool to measure response rate. The easiest way to measure the campaign is to write a strong call to action in your creative. One of the most successful clean ad campaigns we create was for Dominos Pizza. Instead of “New Store opening” style adverts, we suggested a free giveaway for mentioning the advert. After placing 25 adverts within 2 miles of the new store, the store gave away 457 free garlic breads in two days when people started walking in and mentioning the advert. If your campaign is more national or online then direct people to a simple URL landing page created specifically for the campaign so don’t send them to “pizzahut.com/london” send them to “FREEGARLICBREAD”.com. Not only can you track and measure the campaign but you can also add people to your marketing list by getting people to give you their email address in return for the voucher or discount code. Simple TEXT also works well, a Text number can be set up online cheaply so a call to action like “Text GARLIC to 7777 for free offer”, is another great way to capture that data. Alternatively ask your prospects to use Facebook, Instagram or Twitter to respond. Just a simple hashtag request to enter a competition can be easily tracked online. 10. The best locations for Reverse Graffiti and How long do reverse graffiti adverts last for? The best place to put reverse graffiti adverts is where people spend the most time. Obvious locations such as Bus Stops, Train Stations, Taxi Ranks, Shops, Bars, Restaurants, Fast Food Outlets, Cinemas etc are all obvious locations. Commuter walk routes are also good locations so to and from public transport stations. Adverts must be placed on dirty paved surfaces, block paving and tarmac is not effective due to the not so easily seen clean and dirty contrast. 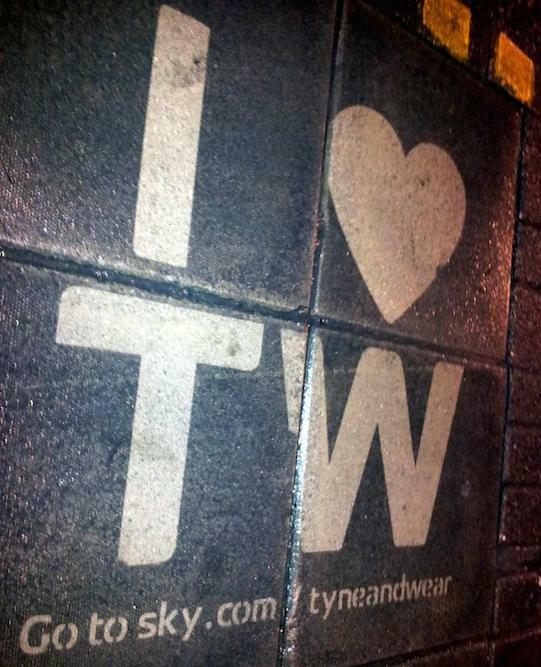 Reverse Graffiti Ads will typically last 7-10 days before wearing away with added dirt from footfall. 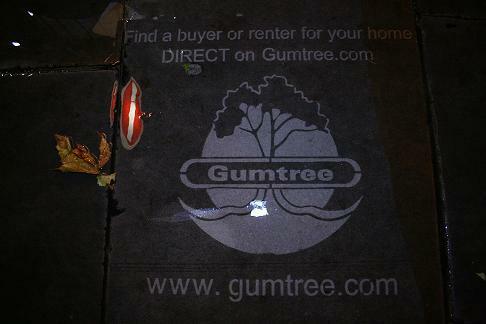 Ad Duration will also be dependent on where the ads are placed on the pavement. 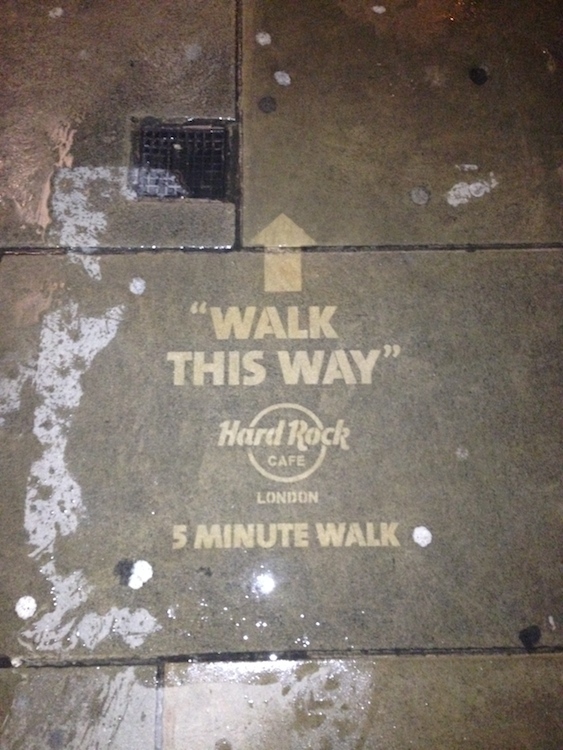 Yes the ads will be easier to spot if they are in the centre of the pavement but the more people walk on the ads they quicker they will dissolve. Preferred placement is slightly offset and closer to the road where less people walk and the pavements are dirtier due to vehicle traffic and less council cleaning. Here ads tend to last longer. In front of poster sites and bus stops is another great area and next to pedestrian crossings too. In 2007, Kia Cars were a relatively unknown brand in the U.K and to publicise the launch of their new model the Kia Soul they wanted to generate attention from their target audience- 18-25 years old cool people. They used a combination of Graffiiti Billboards and Murals and Clean Advertising to drive people to their dedicated landing page. Across 10 cities throughout the U.K from Glasgow to Brighton, Street Advertising Services placed 700 Reverse Graffiti Clean Adverts. The ads were placed outside young person venues, bars and restaurants. Over 120,000 people visited the Kial Soul Website highlighted specifically by the campaign and the car went on to be Kia's best selling car in the U.K with over 6,000 cars sold in their first month. ING Bank wanted to raise awareness of their mortgage products within Belgium. They were looking for a creative PR Idea to attract both consumer and tradtional media attention. Street Advertising Services were asked to place a dozen Clean Adverts outside the ING branch in every town and city in Belgium. The adverts immediately attracted attention include the Mayor of Antwerp, the press quickly picked up on the story and ING Bank representatives were interviewed on peak news channels and in national media. 13. How much does a Reverse Graffiti Campaign Cost? 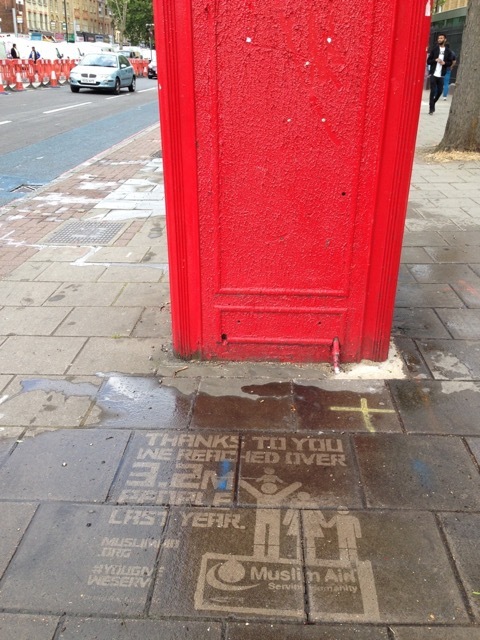 Reverse Graffiti Adverts Cost £1,600 plus VAT for 25 adverts per city. The cost per advert reduces depending on volume and cities. To start your Reverse Graffiti Campaign, contact us today to discuss your requirements.